College campuses can get pretty dull over long breaks. Most students prefer to go home for the holidays, but this can create some logistical challenges. College storage is a smart solution for students who prefer not to haul their belongings home for the winter break. If you’ll be switching dorm rooms after the break, you’re in off-campus housing and plan to sublet, or your dorm is being renovated over the break, consider renting a storage unit in Capitola. There are likely a few books you’ll keep from this past semester’s classes, but you probably don’t need to lug all of those heavy books into your storage rental. Plus, selling them back to the campus bookstore or to an online textbook hub will give you a little extra cash for books for the next semester. College storage units are an excellent way to keep your expensive electronics safe over the winter break. Even if you don’t plan to switch dorm rooms or sublet your off-campus apartment, it’s worth taking the extra precaution of storing electronics at a secure, off-campus location. Get some bubble wrap for your computer, monitor, printer, and music system to protect these items. Place these, along with all electrical cords, into a sturdy plastic bin before storing it. Keep clothes safe from moisture. Always launder your clothes before storing them. Make sure they are completely dry, and then wrap each item in acid-free tissue paper. Stack the clothing in plastic storage bins. You could add some mothballs to keep insects away, but some people prefer all-natural cedar. If you’re renting a mini-fridge with a two-semester rental agreement, it will need to be stored over the winter holidays. Unplug and defrost the fridge, and scrub it thoroughly. Remember to scrub the microwave, if you have a combination fridge/microwave unit. Slip a tray or towel underneath the entire unit, and leave the door open overnight. The next day, dump out any accumulated water underneath, and wipe down the unit to ensure it’s dry. Use heavy-duty tape to stick the coiled cord on the back of the unit. When you get the fridge to the storage unit, store it with the door open to allow air to circulate. Clutter leads to stress for many people, and both can build up quickly and affect your mindset. If you’re the type of person who needs a clean space to think clearly, then you need a plan for getting rid of the clutter. College storage in Santa Cruz, CA offers an excellent solution to this problem, and college storage units are a popular commodity. Additionally, you can identify belongings that you don’t use frequently and give them away to friends or to charity. Continue reading for your how-to guide on decluttering your home. A college storage unit might be a lifesaver for confused students and concerned parents alike. When a young adult moves out of the house to go to college, he or she will typically come back in between semesters and during breaks. If bringing everything back to the nest isn’t a viable idea, college storage is. A college student who doesn’t commute to school will probably live in different dorm buildings or apartments throughout his or her college career. If college is far away from home, you can use a college storage unit to keep furniture, textbooks, and other belongings close to school instead of taking up space at home. You and your friends probably have similar tastes, at least in some areas. When you realize that you have too many throw pillows, an extra loveseat, or a centerpiece that’s too big for your table, consider giving them to your friends. This frees up some space in your house or apartment while still keeping the things you like “in the family.” Plus, your friends will be grateful that you thought of them and it can even strengthen your relationship. An even more altruistic alternative to giving things away to your friends is donating to a local charity. There are countless types of charities out there, and there’s a good chance you’ll find one that is looking for some of the things you’re getting rid of. A storage unit in Santa Cruz, CA presents the perfect way to keep your seasonal decorations safe when it’s time to take them down. Decorations tend to be fragile, so you need to make a plan so they’re still in one piece when you go back to get them. Watch this video and try these tips to store holiday decorations. Decorations might be the best part of the holidays, but they have to come down sometime. The trick to preserving their condition is in the packing, and all you need is a few household items to keep everything safe. Wrap small strands of holiday lights around a hanger, and use a piece of cardboard for longer strands or heavier lights. Cut an empty toilet paper roll to use as a holder for your wrapping paper, and attach a hanger to your wreaths for easy storage. Packing up your belongings the right way helps keep them safe during the move, and it’s also useful when it comes to pest prevention. You don’t want to return to the storage unit in Capitola, CA to find bugs in your boxes, so you need to know what to do and what to look for. Wash your clothes before you pack them, whether you’re moving them to a storage unit or to a new home. Pack using only the best packing materials so you can close bugs out, and inspect your belongings before you put them away. If you want to pack to prevent pests, read ahead. Certain types of pests like to feed on fabric, which makes your clothing a target for their meals. You might already have small bugs like moths and silverfish in your clothing as it hangs in your closet, but an infestation can occur if you pack them away with your garments. Wash all of your clothing in hot water before you pack, so you can kill the bugs and avoid an infestation while your belongings wait in your storage unit. Sometimes people end up dealing with pest problems because they failed to use the right packing materials. As cheap and convenient as it might be to take empty boxes from a department or grocery store, there are a few problems with this tactic. First, the boxes might not be sturdy enough, and your belongings could break if they bottom out. Secondly, they might contain bugs that you didn’t notice. You don’t want to return to your storage unit to find pests waiting, so use clean boxes that are designed for moving. Knowing how to identify a pest problem gives you a leg up when packing to prevent one. Inspect everything before you put it away, especially your bedding. Look for blood spots in your sheets, blankets, pillowcases, and the seams of your mattress. If you find any, you might have bed bugs. Call a pest control professional and wash all of your bedding in hot water. What Should Be on Your Moving Checklist? A moving checklist is an important component during the moving process. A checklist will have the steps you need to ensure a quick and efficient move. These steps will include purging unwanted belongings, renting a storage unit, and purchasing labeling and packing supplies. Your checklist should also have important phone numbers attached, such as your storage rental company in Santa Cruz, CA. Let’s take a closer look at the steps that should be on your moving checklist. Sorting and purging your clothing, furniture, and belongings should be one of the first steps on your moving checklist. This step is important to prevent you from needlessly moving items that are broken, outdated, or unwanted. Keep the purging step manageable by sorting room by room and creating different piles for items you wish to keep, sell, and throw away. There are many reasons to rent a storage unit during the moving process. You may be downsizing to a small apartment or rental house before moving to a larger home. You may have a child move out and require a student storage unit. You can also use a storage unit to hold certain items that you are reluctant to part with. No matter the reason, take the time to rent a unit and check it off your moving checklist. Labeling supplies will be one of your best aids during the moving process. Use multicolored markers to categorize boxes for different areas. You can also use painter’s tape, highlighters, and colored label stickers to help distinguish all of your moving boxes. Put the color and the number of boxes for each location on your checklist, so you can check off items as they are unloaded. Prior to loading boxes into a moving truck or storage unit, take the time to organize them by size and importance. The most important items—such as valuables or toiletries—should be loaded into a truck or storage rental at the end. This task will help you easily access your items right away. Moving to a new house can be a stressful experience, but there are many tips and tricks that can keep your move as stress-free and efficient as possible. Packing boxes early on, labeling, and using temporary storage in Capitola, CA are going to be essential steps to an easy move. Watch the attached video for some helpful tips. The first step to an easy move is to start packing nonessentials right away. Use temporary storage for these items—such as holiday decorations, artwork, and heirloom dishware—so they will be out of the way and packed well ahead of the move. Take the time to label every box as it is packed. Use a color-coded labeling system to keep track of which room each box belongs to. A few days before the move date, pack a box of essentials that you will need in the days after moving. When your kids grow up and head off to college , you and your spouse may be left with empty bedrooms and a house that suddenly feels too large. One great way to take control of your space is to consider downsizing into a smaller home. A storage unit in Capitola will provide you with the space that you need to store your belongings once you have downsized into a smaller property. A storage rental company can provide you with several options when you downsize. During the moving process, renting temporary storage is a great way to keep your belongings secure and out of the way while you transition into your new home. Your kids may also appreciate having access to a student storage unit, which will allow them to store their items during summer vacation and other school breaks. Your storage unit team will work with you to help you find the right solution for your future move. Self-storage is an incredibly convenient service that can help you free up much needed storage space in your home or office. 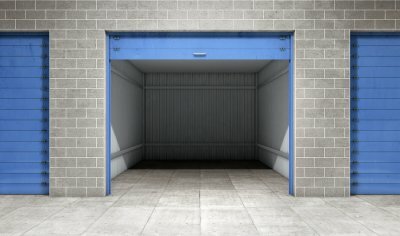 When you are considering renting a storage unit near Santa Cruz , it is important to separate the myths from the facts about these types of facilities. Your storage unit professionals will be there to answer any questions that you might have about what to expect from your experience with placing your items into storage. Let’s debunk some of the most popular myths concerning storage facilities. Myth: Storage units offer temporary solutions. 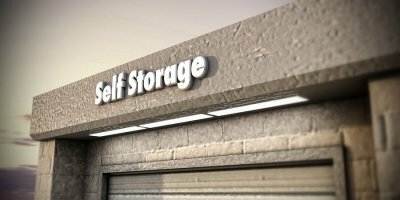 A common myth about self-storage is that this type of service is mainly designed for people who are in times of transitions. While temporary storage can provide you with necessary space during a big move, you can also benefit from long-term solutions that are offered by your facility. A long-term storage unit can allow you to hang on to outdoor equipment, important paperwork, and other bulky items that would otherwise be cluttering up your home. Myth: Storage is too expensive. You will be pleased to learn that self-storage is an affordable option that can be appropriate for people of many different incomes. When you decide that you are in need of storage, you can contact your local facility to learn about their rates and specials. Without a long-term contract, you will also be free to cancel your storage unit rental and stop your monthly fees at any time. Myth: Storage units are hard to access. When you place your belongings into storage, there may be certain items that you will want to be able to access at a moment’s notice. 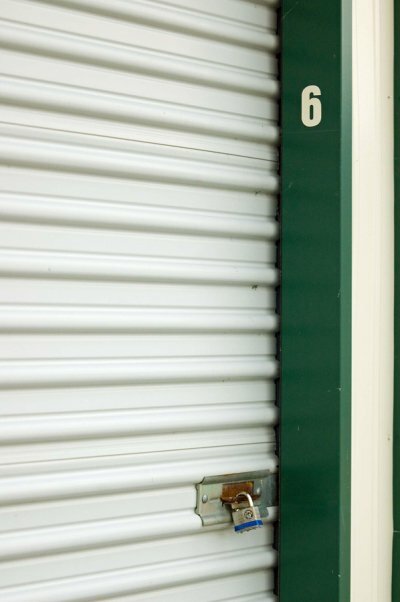 A quality storage unit facility will provide you with access to your unit during many hours of the day. With keypad security access, you will be able to easily unlock and open up your storage unit when needed. Your storage unit professionals will provide you with convenient services throughout your storage rental experience. 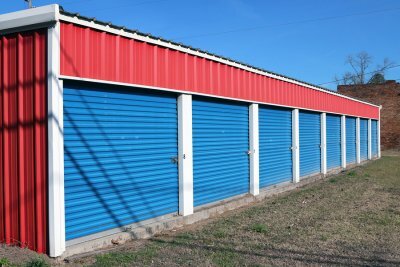 What Should You Look for When Choosing a Storage Facility? Whether you’re trying to clear up some space in your house or you’re moving back from college, a storage unit in Santa Cruz, CA, can help you out. If you want to have the best experience possible, it’s a good idea to look around and find a storage facility that you can trust . Think about the location of your storage unit compared to where you are and where you will be, how easy it is to access your things, and whether or not your stuff will be safe. Continue reading for more on what to look for. If you’re moving to a new location but you plan on coming back, a storage unit can keep your things safe in the meantime. The same applies when you’re clearing up clutter in your house and you need a place to keep your belongings. When you choose a storage facility, choose one that is in a logical location for your needs. Pick a storage unit that’s close to your school if you’re moving back home for the summer, and choose one near your home if you’re getting rid of clutter. A storage unit wouldn’t be a great solution if you had limited access to your belongings. That’s why you should find a storage facility that has convenient hours that work for your schedule. Look through different storage facilities’ websites to get an idea of how easy it will be to get to your things before you make a decision so that you’re never left stranded when you need something important. 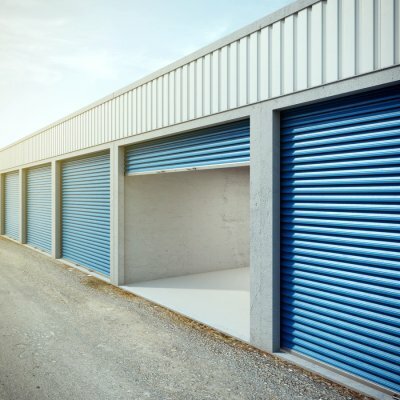 Coming back to your storage unit to find that someone has ransacked your things is not a good feeling, but with the right storage rental, you won’t have to worry about it. Different storage facilities will take different measures to protect your belongings. You should look for one that’s gated in so that potential thieves and vandals can’t get to your things. In this day and age, electronic keypad access is a useful security measure that keeps criminals out while still allowing you to get to your things. What Is the Right Way to Pack Artwork? You will want all of your belongings to make it to the storage unit in Santa Cruz, CA without any trouble, but some items are more fragile than others. If you have some artwork that you’d like to keep in your temporary storage unit , it’s wise to take some extra precautions to keep it safe. Watch this video to learn about the right way to pack artwork. One of the most important aspects of packing fragile items is choosing the right box. Once you’ve got a quality moving box, add some cushioning to the bottom by dropping in crumpled up newspaper. Then, wrap your artwork in bubble wrap and tape it securely. If you’re packing multiple pieces, it’s a good idea to have them facing each other. Add more newspaper for extra cushioning, and then tape the box closed and label it so you and your movers know that it’s fragile cargo. You can keep just about anything you want in your storage unit in Santa Cruz, CA, but you should know what you’re getting into. A storage unit will keep your belongings safe as long as you store them properly. A storage unit can also be a great place to store your documents if you want to keep them safe, but not all storage units are equally trustworthy. Know who you’re working with, how to protect your documents, and when you can access them. Read on for more on what you need to know about keeping important papers in a storage unit. If you’re looking to store important papers, they should be in good shape when you come back to retrieve them. This is why you should do your research and make sure you work with a storage rental facility that you know you can trust. When you start looking for storage units, look through websites for each of your options. A quality storage rental facility will have an up to date website that details services, references, and company objectives. The more important your documents are, the more important it is that you store them correctly. Keep in mind that, even in the most secure storage units, pests can be a problem. If you don’t want pests chewing through your documents, you’ll need to take extra care when you store them away in a temporary storage unit. Firstly, choose a storage rental company that knows what it takes to keep your documents safe. Then, pack your papers up securely in a legitimate moving box rather than an old grocery box. You’ll need to get back to your important documents eventually, so you should know exactly when you’re able to do so. The right storage unit will afford you easy access to your documents, so you’ll never have to be away from them when you need them. Choose a storage unit that allows you to access your things as frequently as you need to. Before you can make use of your storage unit in Santa Cruz, CA, you will need to think about how to pack your belongings . Packing the wrong way can be risky, as boxes may break, cave in, or get knocked over if you don’t do it right. Check out this video for a quick look at packing seasonal decorations for storage. Seasonal decorations tend to be on the fragile side, especially little ball ornaments that you might hang from a Christmas tree. Fortunately, you can keep them safe in storage with a little creativity. Line a plastic bin with plastic cups, and then fill each cup with ornaments and decorations. Then use a thin sheet of cardboard to create the base for a second layer. Repeat the process, secure the lid on top of your bin, and rest assured that your decorations will be safe in the storage unit. 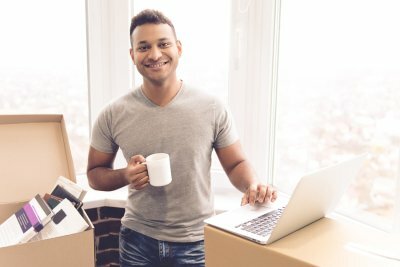 Moving to a new apartment or a storage unit in Santa Cruz, CA may be one of the best decisions of your life, but you have to make sure you do it the right way . There are certain practices that are not recommended, while others can save you a great deal of time and stress. Take a look at this video clip and don’t let this happen to you while you are moving. Sometimes it can be practical to stuff a bunch of your belongings in the same box, but this might not be the best practice in other cases. If you have a sturdy enough box and a way to competently and comfortably handle the materials you are working with, then this can be a greater saver of space. As long as you work with the professionals, you can ensure that the common moving problems don’t happen to you. Moving to a new home can be a pain, and moving your stuff into a storage unit in Santa Cruz, CA can sometimes be just as difficult. The good news is that you can make your move much easier by following the proper steps. It’s wise to resist the temptation to use makeshift materials, and you should label your boxes once you do find the right kind. 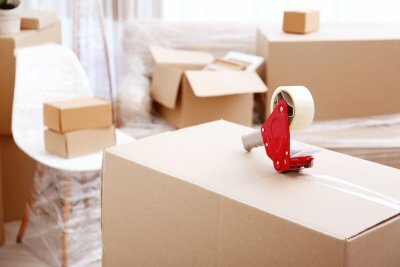 Give yourself plenty of time to pack before your moving date so you don’t become overwhelmed, and continue on to avoid these common packing mistakes. It can be expensive to move to a new home, so you might be thinking about how to save some money. Snagging a couple of boxes from your local grocery or department store may seem like a good idea in a pinch, but these boxes typically can’t be trusted to stay together during the move. Instead, make sure you buy boxes that are designed for moving or storage. You can find wardrobe boxes that come in handy when moving clothing as well as packing peanuts and other stabilizing materials to keep your belongings safe. The better you pack your belongings, the easier the process of unpacking will be, so make life simple by packing properly. When you do pack your boxes, be sure to label each one. You can write the name of the room in which the items belong or even write down a list of the contents inside. 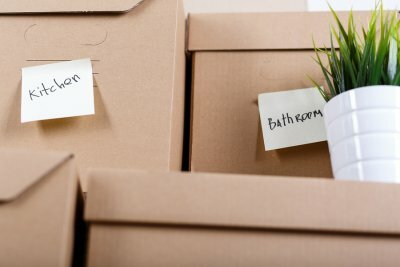 Labeling your boxes helps you to stay organized when you move into your new home or go back to your storage unit to retrieve some of your things. The best way to make a move as stressful as possible is to wait until the last minute, so get your things together in advance. Even if you are simply moving some of your seasonal decorations to a storage unit, it’s best to set out your game plan before you spring into action. Set yourself up for success by planning your move or storage unit rental out ahead of time. At JD Mini Storage, we are thrilled to provide our customers with terrific storage options in Capitola. Before you rent a storage unit at our facility, our team will be happy to provide you with a tour of our units and amenities . After you drive through our front gate, you will notice a clearly marked office sign. We welcome you to walk into our office and speak to one of our on-site managers about your storage rental options. There are several advantages to storing your items at our facility. Since all of our units are on the ground floor, you will have no trouble loading and unloading your items into your unit. We are also pleased to offer 10 foot ceilings in each one of our storage units. Using a state of the art electronic keypad access system, we are also able to ensure the security of every unit in our facility. When you rent a storage unit , you will trust your storage rental facility to protect and preserve your stuff when it is under their care. Before you choose a storage facility, it is a good idea to ask about any pest prevention methods that they have in place. A quality storage rental facility will have methods in place that are designed to keep rodents, insects, and other unwanted pests away. Let’s take a closer look at some common pests that are found in storage units, and how they can be prevented. Rodents are among the most notorious pests that can invade a storage unit. Rats and mice like to build their nests in the dark, out of the way spaces that are located throughout an untouched storage unit. If a storage facility has signs of droppings or unused nesting materials, this may indicate a rodent problem. By implementing rodent exclusion methods, a properly equipped storage unit facility will be able to keep these nasty pests away. Cockroaches are familiar pests that can be found in storage units around the world. When cockroaches invade a storage facility, they can bring nasty diseases and pathogens, such as salmonella, E. coli, and more. 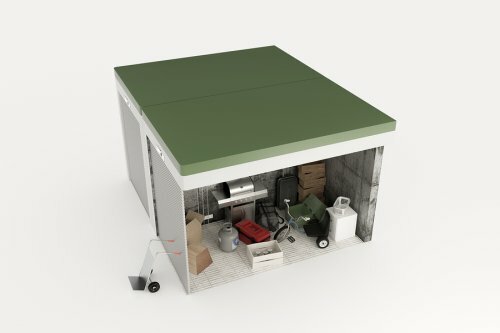 To keep cockroaches away, it may be necessary to treat the interior and exterior surfaces of a storage unit with a special repellant. Traps and other physical methods can also be used to control and eliminate a cockroach population. Bed bug infestations are on the rise around the country, and storage units are not immune to these dreaded insects. A bed bug colony can make its home on mattresses, furnishings, and in any other carbon based materials. In the unfortunate event that a bed bug infestation breaks out in a storage facility, it may be necessary to treat each individual unit. If you have concerns about pests and your stored items, your storage rental company will be happy to answer your questions. A storage unit rental will provide you with a safe and secure location to house your most valued personal belongings. 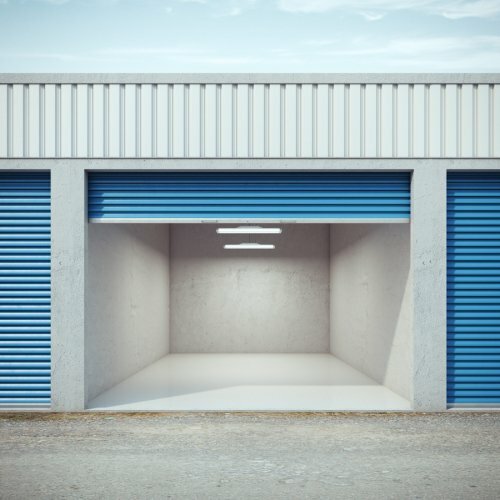 While a standard storage unit will protect your stuff from theft and environmental wear and tear, there are actions that you may want to take to keep rodents and other unwanted creatures out of your storage space. With services from a storage rental company in Santa Cruz , you can make sure that your storage unit is safe, secure, and pest free. Let’s take a closer look at some tips for keeping rodents out of your storage. Food items are very tempting to rats and mice of all kinds. If you are concerned about a rodent infestation in your storage facility, you will want to make sure that you avoid storing food altogether. Since food is typically perishable, it may not be allowed in your storage unit to begin with. Keeping food away from your facility is an important step towards rodent prevention. When rodents enter a storage unit, they may be looking for cozy spaces to build their nests. Unfortunately, a cardboard box may provide the perfect environment for a colony of rodents to nest and breed. To keep rodents out of your storage boxes, you will want to make sure that they are tightly sealed with tape. For the ultimate in rodent protection, you can also invest in sturdy plastic boxes, which will also stand up to water damage and other pests. Plastic wrap can be very useful when you are protecting your storage unit from rodents. In the event that rodents do enter your storage unit, plastic wrap will protect your furnishings from becoming contaminated by rodent droppings or urine. Ultimately, you will also want to ask your storage facility about any rodent exclusion methods that they are using to keep rodents away from their units. Whether you have been using a storage unit for years, or you are getting ready for your first self storage rental, getting the best benefits from your storage experience requires careful planning and preparation. A storage rental company in Santa Cruz can provide you with ample storage space for all of your belongings. Before you start to place your items into storage, however, you will want to make sure that all of your boxes and other items are sorted and organized. 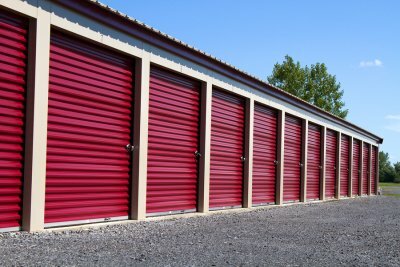 To help you gear up for your storage rental, here is an overview of the dos and don’ts of self storage. A convenient location is key for any storage unit rental. If you choose to rent a storage unit that is located far away from your home or office, you will go through significant hassles when it is time to open up your storage unit. By choosing a storage facility that is located within a few miles from your home base, you can make sure that you will have easy access to your belongings. As you are preparing your items to be placed in storage, you will want to make sure that you follow a careful labeling scheme. Some labeling ideas include using color coded tape on each box, writing out a box’s contents on its exterior, and creating a detailed inventory of all the items that you are placing in storage. When you visit your storage unit in the future, you will be thankful that you took the time to label your stuff so that you can find what you need quickly. Rather than placing your boxes into storage in the order that they come out of the moving truck, you will want to instead create a careful plan for how all of your items will be stored in your unit. Boxes that contain infrequently used items can be placed first and pushed farther to the back. Any boxes that you will need to get into more frequently should go into your storage unit last. College students often live in dorms and other temporary housing situations. Rather than having your college student move his or her belongings to and from home between each school year, you may want to invest in a storage unit. College storage in Santa Cruz will provide your student with a safe space to store his or her stuff. From academic books to furniture and more, your storage unit can be use to house a variety of college belongings. A quality self storage unit can provide several key benefits to college students. First, a storage unit can eliminate the hassle of moving items back and forth from home to university. With self storage, your student will also have a convenient place to store personal belongings throughout the school year. Ultimately, investing in a storage unit for your college student will provide happiness, security, and wellbeing, throughout the college years.